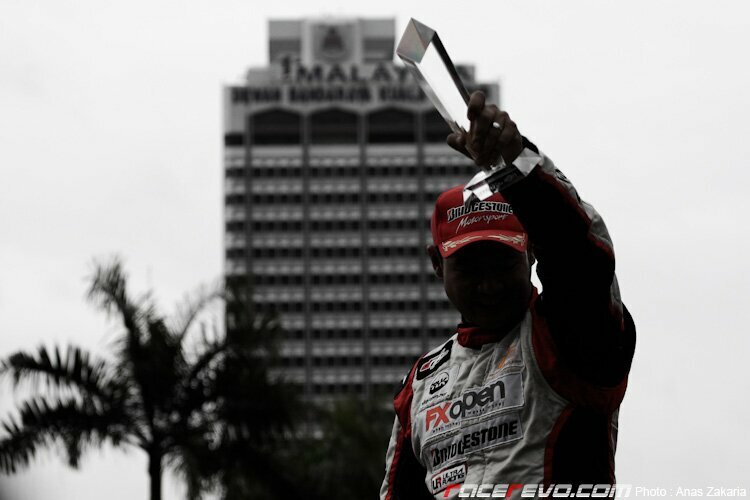 Tengku Djan, the 2010 Formula Drift Asia champion. A first look at last weekend’s Formula Drift Malaysia 2010, held at the historical site of Dataran Merdeka (Merdeka Square) in Kuala Lumpur. 2008 D1GP champion Daigo Saito took the win on his Formula Drift Asia’s debut while local crowd favourite Tengku Djan Ley took the overall title despite going out in the last 32.